The Guardian have reported that Arsenal have triggered Jamie Vardy’s release clause at Leicester City. 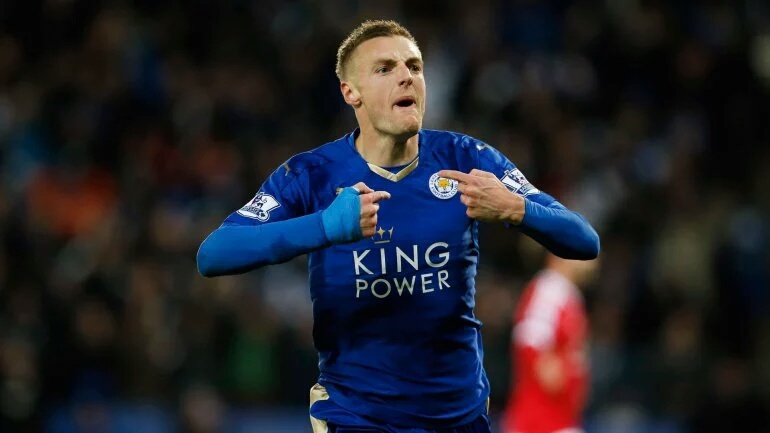 The 29 year old striker, valued at £20 million, helped Leicester last season to the Premier League title. 30 – Jamie Vardy was involved in more goals than any other player in the 2015-16 Premier League (24 goals six assists). Coveted. This is quite unlike Wenger to buy a 29 year old. It reminds me of Van Pierse leaving to Manchester United for one last major bumper package. Does it mean Wenger will leave soon in some Fergie fashion? I don’t think so. Vardy was hot last season and his pace will be of great happiness to Ozil’s vision. He can have the number 9 if he comes. We wish him well with England at the Euros.